You are here: Home / Blog / 7 Reasons Why You and I Need A Reliable Cable Tie Manufacturer? 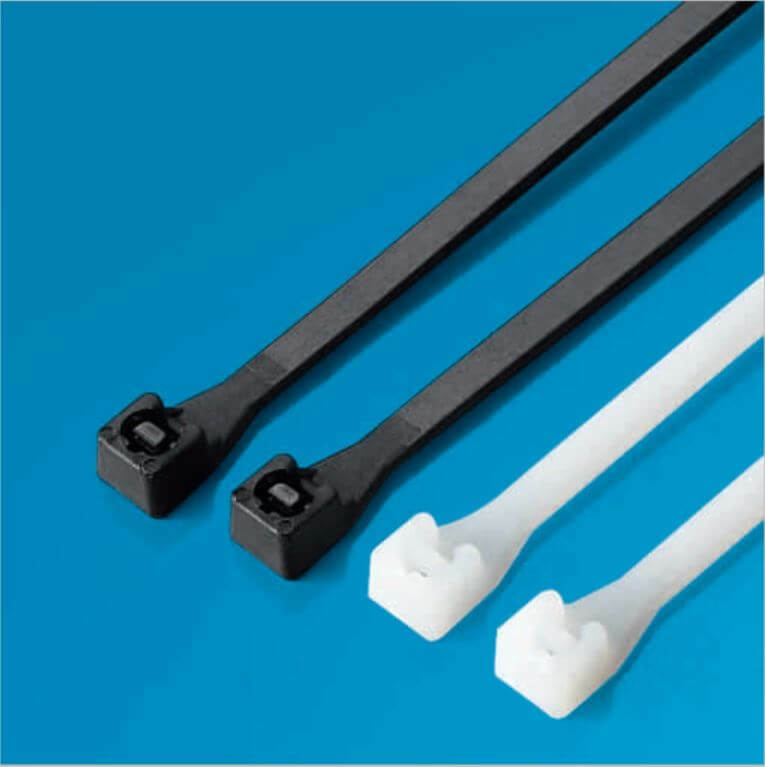 Plastic cable ties are well known by us for the high tensile strength and the convenience to use. They are simple and easy to install. They play the same role as the steel wires, but they are much lighter in the weight and cheaper in the price. Most people will buy them in a big quantity, rather than one or two pieces. So the large quantity will demand us to choose a reliable cable tie supplier. Some people just buy ties casually. Then they paid much for casual purchasing. The bad quality caused big damages in the articles. I think it is very necessary to share the 7 reasons to choose a reliable cable tie manufacturer with you. 1. It can supply us a strong quality guarantee. The basic goal for a reliable factory is to make sure each piece of its product with the best quality. The good supplier also has a series of strict quality management rules. All the employees will carry out these rules. Besides, the company has a professional testing center. It is to test the quality the company produced. This center will ensure the customers receive the products with high quality. When the center finds some quality problems of the products, the center will reflect the problems to the workshop. The engineer and the workshop will find the problems quickly. And the quality of the products will be guaranteed. 2. It can offer us a considerate after-sale service. A reliable and good enterprise will also pay much force and fund on the after-sale service. The service of the after-sale is a chance for the company. The customers may come back for the second purchase, because of the good service. And as the users, we are willing to enjoy these nice services. Sometimes, the ties may have some problems after the purchase. We can contact the wholesale for the resolutions. Reliable suppliers may send new products to you for free. And they may also ask you to change good ones with them. These cannot be done by some bad suppliers. They may give you the answer, these are done by yourself. If you just bought the plastic ties from the street vendors, you may have no places for help. The street vendors and the bad manufacturers cannot give you good service after the sale. You may have to spend some money buying new products yourself. And you also need to spend a lot of time on the new products. It will be a bad experience of shopping. So buying the products from the bad supplier will waste our money and time. 3. It will give us the best technical support. Have you found one thing of the zip ties? That is they are easy to fracture in the cold environment. It is not the problems of quality. Even the good quality ties will also have the breaking in the cold environment. If you have met this situation, we can contact your manufacturer for the suggestions. They have professional technicians. They can give us the best technical support. Regarding the ties easy to break in the winter, there are some tips from the technicians. (1) Before we using plastic cable ties, we can have some preheating. We can heat the ties by our hands in cold winter. And using the heater to make the ties warm is also a good way. But do not keep heating the ties for a long time. (2) And we can also choose the professional cold resisting ties. As we all know, some places are too cold to use the common zip ties. So we can choose the cold resisting ties for help. These ties are designed with some special material. They are not easy to break in the winter. 4. It can keep the experiments and designing new products. If we choose a reliable cable tie wholesale, it will give us many surprises. It is keeping exploring and designing, according to the demands of the market. All the technicians from the good enterprise will keep the spirit of innovation and exploring. To meet the changing demands of the users, they are doing all their efforts to design the new products. The company HONT has invented a new product, PAT cable tie. This kind of product owns much higher tensile strength than the common ones on the market. The engineers use 2% more materials on each piece zip tie than the standard tie. And the appearance of the tie is more elegant and good looking. The head is bigger. The body of it is thicker. 5. It can make sure the high speed of the delivery. When we choose a good manufacturer, the company will make sure us a fast delivery. It has a large production scale and professional management system. These will guarantee us a delivery in a short time. And at the same time, the products produced will be also equipped with top quality. Some small factories may have some delay in the delivery. Their machines are not so efficient. And the quantity of the workers is not big enough to deal with big quantity orders. These factories have no standard management rules for production. And the workers are not so professional and efficient. These all will waste a lot of time, even affect the shipping time. 6. It can ensure reasonable prices. The prices of nylon zip ties do not remain unchanged all the time. They will be affected by the raw materials, the labor costs, and so on. The raw material of zip tie is PA 66. It reached RMB 40,000 per ton in the year of 2017. And now it drops to RMB 32,000. So the prices of the products also raised in the year 2017 and 2018. Now there is some stop of the rising. If you buy products from a reliable supplier, it will inform you of the reason why there is a rise in the prices. And when the prices fall, it will also let you know. However, the bad wholesales may get the prices unchanged when the prices of the raw materials drop. They will still use high prices to get more profits from the users. 7. It will put the benefits of the customers in the first position. The market is not so calm. The competition is very furious. The good manufacturer will not let your benefits damaged. If you are a client of the factory, one of your customers find your supplier, so what will your supplier do? I think it is really a question of the credit. A reliable manufacturer will lead your customer back to you. A bad supplier will cooperate with your customer, instead of cooperating with you. And the reliable factory will consider the things by your side. If you want to order a very big quantity of products, the factory will calculate for you to make the quantity to be a whole container. This will save a lot of money on the freight for bulk cargo. Are these 7 reasons enough to make us choose a reliable cable tie manufacturer? The answer is yes! Many users have got the benefits of choosing HONT, the best zip tie manufacturer. How about you? https://hont-electric.com/wp-content/uploads/2019/04/20.png 226 225 admin https://hont-electric.com/wp-content/uploads/2018/12/logo.jpg admin2019-04-09 07:11:502019-04-25 03:14:207 Reasons Why You and I Need A Reliable Cable Tie Manufacturer?